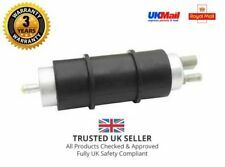 Fuel Pump Assembly for Volvo V70 MK II 2000-2007 Estate REF:D5035M 30769007. P76364M, 69742, SP5035M, FG1252, EH635M, A44008, D5035M, FP3152, E8635M. Volvo V70 MK II 2000-2007 Estate. Volvo S60 I MK I 2000-2010 Saloon. IVECO DAILY IV Platform/Chassis 70C15 F1CE0481FA 2998 107 4 Platform/Chassis 2008-2011. IVECO DAILY IV Platform/Chassis 65C18 F1CE0481HC 2998 130 4 Platform/Chassis 2006-2011. IVECO DAILY IV Platform/Chassis 65C15, 65C15 /P, 65C15 D, 65C15 D/P F1CE0481FA 2998 107 4 Platform/Chassis 2006-2011. Toyota AYGO (WNB1_, KGB1_). AYGO (WNB1_, KGB1_) 1.0 (KGB10),1KR-FE (2005/02 - /). Toyota AYGO (PAB4_, KGB4_) (2014/05 - /). AYGO (PAB4_, KGB4_) 1.0 1KR-FE. 107 1.0 1KR (384 F),(2005/06 - /). PEUGEOT 1525. Land Rover WFX000280. LAND ROVER DISCOVERY 2 2.5 TD5 1999-2004. Land Rover WFX101080. Land Rover WFX000220. Land Rover: Defender 110, 130, TD5, 1998-2006. With these parts you can replace your defective parts simply plug and play. OEM Part Number. III.Fit For the Following. Our warranty is valid for max. 24 months without mileage limitation. Used on 1998 & UP 4.3L V6, 5.0L & 5.7L V8. Used on Carb engines and Low Pressure Pump for MPI. Note this pump connects with a plug on a cable. With these parts you can replace your defective parts simply plug and play. [1997-2006]. Skoda Roomster Praktik 1.4 TDI. Skoda Roomster 1.9 TDI. Skoda Roomster 1.4 TDI. [1998-2005]. Skoda Octavia 1.9 TDI 4x4. Skoda Octavia 1.9 TDI. [1999-2005]. FOR RangeRover MK3 [2002-2012] 4.4 4X4 IN TANK Fuel pump Assembly WFX500010. Land Rover Range Rover 2003-2005 L322 V8 4.4L Petrol. RANGE ROVER Mk III - 4.4 4x4. With Fuel Sender Unit. Make Model Year Series Engine Fuel. TOYOTA ESTIMA (MCR3_, ACR3_, CLR3_) 2.0 D-4D 1995 85 4 MPV 2001-2006. TOYOTA AVENSIS Station Wagon (_T22_) 2.0 D 1995 85 4 Estate 2002-2003. TOYOTA AVENSIS Station Wagon (_T22_) 2.0 D-4D (CDT220_) 1995 81 4 Estate 1999-2003. Land Rover FREELANDER (LN) (1998/02 - 2006/10). Land Rover (import), RANGE, ROVER, Mk, III (LM) (2002/03 - 2012/08). The Rover 75 Saloon (RJ) (1999/02 - 2005/05). BMW 3 Compact (E46) (2001/06 - 2005/02). CHRYSLER # 5104694AB, 5104694AC, 5134554AC, 5134554AE. Chrysler 5134554AE. DODGE RAM 1500 PICKUP V8 4.7L 2004-2007. DODGE RAM 1500 PICKUP V8 5.7L 2004-2009. DODGE RAM 2500 PICKUP V8 5.7L 2005-2009. DODGE RAM 1500 PICKUP V6 3.7L 2004-2007. MAZDA 6 (GG) 1.8 Saloon Petrol 08/2002 08/2007 FWD 16 120 88. MAZDA 6 (GG) 2.0 Saloon Petrol 03/2005 08/2007 FWD 16 147 108. MAZDA 6 (GG) 2.0 Saloon Petrol 06/2002 08/2007 FWD 16 141 104. MAZDA 6 (GG) 2.3 Saloon Petrol 06/2002 08/2007 FWD 16 166 122. NEW FIAT DUCATO IVECO FUEL PUMP PRESSURE REGULATOR CONTROL VALVE 2.3 D MULTIJET. Condition is New. Dispatched with Royal Mail 1st Class. Opel ASTRA G Estate (F35_)1.6 CNG (1998/02 - 2009/12). Opel 93171075. Opel 93174221. Opel 93183433. Opel 93183434. Opel 93183804. Opel 93184983. Opel 93184986. Volvo 5007422. Johnson/Evinrude #'s 5007420, 5007422. 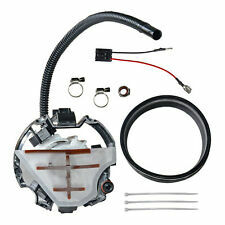 VRO system conversion non-oiling fuel pump for 90hp-250hp. Johnson & Evinrude outboard motors. With these parts you can replace your defective parts simply plug and play. Note this pump connects with a plug on a cable. Used on 4.3L V6, 5.0L, 5.7L V8 TBI, EFI, MPI fuel injected engines. Our warranty is valid for max. 24 months without mileage limitation. With these parts you can replace your defective parts simply plug and play. Citroen SAXO (S0, S1) (1996/02 - 2004/04). SAXO (S0, S1) 1.1 X,SX HDZ (TU1M) 96/05 - 03/09. SAXO (S0, S1) 1.1 X,SX HFX (TU1JP) 96/05 - 03/09. SAXO (S0, S1) 1.0 X CDZ (TU9M) 98/05 - 03/06. SAXO (S0, S1) 1.6 VTS NFT 00/09 - 03/09. VW 8E0919051P. VW 8E0919051CJ. 2002 A4 1.8L L4. 2002 A4 3.0L V6. 2003 A4 Base. 2003 A4 Cabriolet. Fit for these car models OEM part number. We have four warehouses OEM Part number. Quality Warranty: 24 Months. UK / US / DE / HK warehouse. Quality Warranty: 24 Months. OEM Part Number.